Immigration Minister Ahmed Hussen speaks at a YMCA, in Toronto, on Jan. 14, 2019. Immigration Minister Ahmed Hussen says the Conservatives want to “militarize” the border with the United States in an attempt to stop the tens of thousands of asylum seekers who enter Canada between official points of entry – a charge the Tories deny. 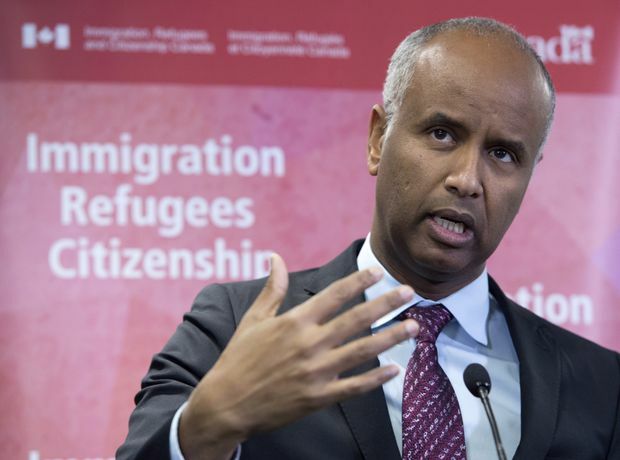 Mr. Hussen’s accusation is the latest in an intensifying immigration debate between the governing Liberals and Opposition Conservatives ahead of the federal election later this year. Both parties are standing firm on their disparate plans to manage the arrival of more than 40,000 asylum seekers between official border crossings over the past two years and those who continue to enter Canada. Prime Minister Justin Trudeau’s Liberal government says Canada has a responsibility under international law to provide the asylum seekers with the opportunity to seek protection in Canada, while the Tories say the refugee claimants are cheating the system by entering the country between authorized border crossings. “I haven’t seen anything from the Conservatives. They don’t have a plan. You know what their plan is? To militarize the border and place a CBSA [Canada Border Services Agency] official or an RCMP official every 100 metres. We don’t have the resources for that kind of half-baked, impractical plan,” Mr. Hussen told reporters at a news conference in Ottawa on Tuesday. The minister’s comments infuriated the Conservatives, who have urged the government to take immediate action to stop the surge in asylum seekers at the border through negotiations with the United States. Tory immigration critic Michelle Rempel accused Mr. Hussen of “fear mongering” by suggesting that the Conservatives would “militarize” the border. “Never have we suggested that at any point in time. And it is that kind of irresponsible commentary that is actually causing division in our country over immigration. It’s ridiculous," Ms. Rempel told The Globe and Mail. A spokesperson for Mr. Hussen later followed up with The Globe to say that the Minister was referring to how the Conservatives would handle the Safe Third Country Agreement, which forces Canada to accept asylum seekers who enter between unofficial points of entry. Press secretary Mathieu Genest said the minister meant that the Conservatives would resort to militarizing the border because Canada cannot change the agreement without the co-operation of the United States. The agreement requires both countries to refuse entry to asylum seekers who arrive at official border crossings, as both countries are considered safe for refugees. However, asylum seekers can avoid being turned away by entering between official border crossings – a loophole thousands of people have taken advantage of. Ms. Rempel said she is confident the Conservatives could renegotiate the agreement with the United States to apply it across the entire border – not just official crossing points. In the meantime, she said she stands ready to hold Mr. Hussen to account on his “divisive” comments when MPs return to the House of Commons next week. “Giddy up to him next week when we come back to Parliament. He better be ready to answer for that," she said. Pollster Nik Nanos said immigration will play a key role in this year’s election campaign, with the Liberals taking the “moral high ground” as the Conservatives try to connect asylum seekers and the border to security concerns. However, he said the parties will have to keep an eye on the situation at the border for another possible surge in asylum seekers that could sway public opinion. Recently released figures from the federal immigration department show the number of people entering Canada between authorized points of entry has remained steady since U.S. President Donald Trump’s immigration crackdown two years ago. In 2018, the RCMP intercepted 19,419 asylum seekers along the Canada-U.S. border – mostly at a single location near St. Bernard-de-Lacolle, Que. 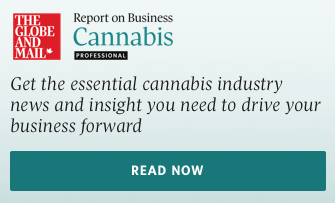 – compared with 20,593 in 2017. Mr. Hussen said Canada is feeling the ramifications of a global migrant crisis. More than 68 million people are currently displaced by conflict around the world, according to the United Nations Refugee Agency. Although the Immigration Department declined to predict how many asylum seekers will cross the border this year, it said the government is taking pro-active measures to deter irregular migration. For instance, it has asked Nigerian government officials to discourage their citizens from travelling to the United States with the intent of crossing into Canada between official points of entry.